United Ways are making a difference in communities across the world. 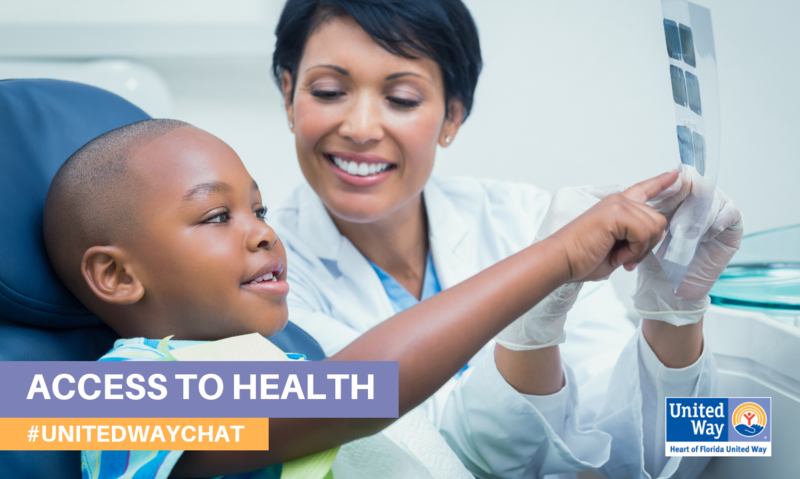 Twitter chats are one way we are able to gather to share ideas, encourage and inspire one another to continue the fight for the health, education and financial stability of every person in every community. We recently joined a #UnitedWayChat that focused on increasing and promoting access to health-related resources and care. We learned some new stats like 80% of health outcomes are influenced by factors outside of the clinical care received in a doctor’s office. Neil Parekh from United Way Worldwide serves as host for the chats. We shared the story of Elizabeth, a woman who had her life turned around by a United Way-funded program. Besides sharing success stories, we showcased our work at the Orlando United Assistance Center. We learned a lot during the #UnitedWayChat! Be sure to follow us on Twitter to join future chats and learn about the work we’re doing in Central Florida.